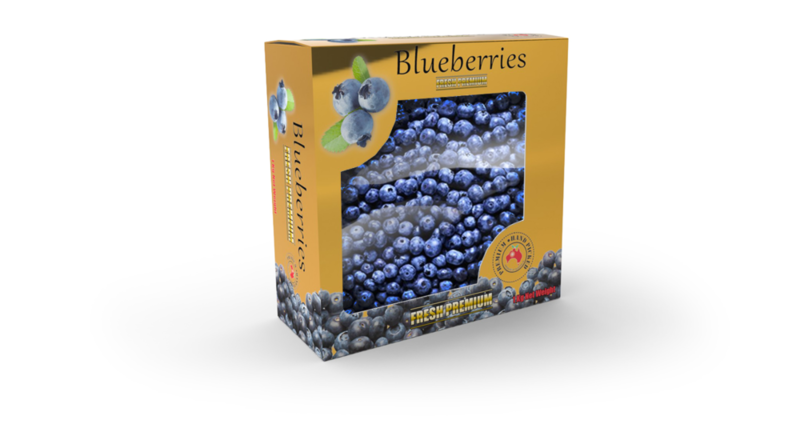 The delicate nature of the goods is front-of-mind when developing packaging solutions for the fresh fruit and fresh produce industry. Our packaging is structurally designed and manufactured to ensure that consumers are able to enjoy your premium product in premium condition. Recent innovations such as THERMOtrac™, which optimises the ventilation of packaging using data-based modelling, means that we’re helping a growing industry deliver better consumer outcomes. We’ll make sure your product is unpacked as though it’s just been picked. Our design experience means that we take into account every step along the way; from the location and nature of the handling and packaging process, specific temperature conditions (such as cool-room storage), the method of transportation and the display and stacking strength of boxes. We cater to a range of channels within the market, including export and direct-to-retailer and wholesaler markets. Visy are committed to creating simple, streamlined processes for our customers. We offer a complete packaging-lifecycle solution, from pre-packs to boxes (including protective packaging such as liners, bags and sleeves), cementing our reputation as a ‘one-stop shop’ for everything from the simplest to the most complex of packaging requirements. We leave the produce to you - but we can manage the process from the packing shed onwards. Our regional network of stores and knowledgeable local employees enable Visy to draw from a vast and varied pool of knowledge across all segments of the fruit and fresh produce sector. Additionally, our regional locations ensure consistent supply and service which caters to seasonal demand. Visy’s range of paper grades and specialised coatings mean that we are equipped to tailor solutions to suit any kind of produce or packaging within this market segment. Changing consumer tastes are viewed to be the biggest driver of growth in this segment; healthy eating and socially and environmentally-conscious consumption are front-of-mind. As a complement to this trend, consumers are continuing to purchase ‘traditional’ vegetables as staples. Carrots, tomatoes, broccoli, cauliflower, capsicum, onion, cabbage and zucchini are the most commonly purchased vegetables, favoured largely for their perceived health benefits and also for their ease of preparation. The notion of ‘healthy foods’ as a driver has also pushed into the realm of snack food - with packets of snacking tomatoes, cucumbers and bell peppers already showing growth and the promise of future expansion. Our time-poor lifestyles are also a factor, driving consumer preference for ‘ultra’ convenient products such as fresh-cut salads, pre-mixed stir-fry vegetables and pre-cut, pre-packaged single vegetables such as celery and mushrooms. Whether simple or sophisticated, lightweight or heavy-duty, Visy offer a complete and end-to-end packaging service to accommodate the fruit and fresh produce market. Visy Thermotrac™ - Visy’s science-based, customised, optimised temperature control system. Find out more. Visy Leakproof Box - Visy’s corrugated cardboard alternative to Expanded Polystyrene, demonstrating our ongoing commitment to sustainable packaging solutions. Find out more. We have a great range of generic prints available; alternately, we offer customised print solutions. As part of a global supply network, Visy are amply supported around licensing and technology and have access to the research and intellectual property of our worldwide partners. Via Visy Automation, we offer a range of machinery which, in tandem with our fruit and produce packaging, improves efficiency and profitability. Find out more. Visy can accommodate both simple and cost-effective as well as complex, full-colour print solutions. Find out more. Utilising insights gained through our collaboration with growers, packers and supermarkets, we have developed Visy One Touch packaging, an alternative to crates for supermarket displays. Designed to fit the requirements of major retailers, Visy One Touch is flexible enough to accommodate a variety of produce types, yet reduces handling and makes display easier. Find out how Visy One Touch packaging can benefit your business by submitting an enquiry by clicking here.